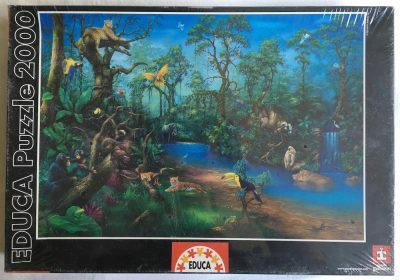 Heye manufactured this puzzle in 1988. The title is A l’Attaque, by French cartoonist Jean-Jacques Loup. 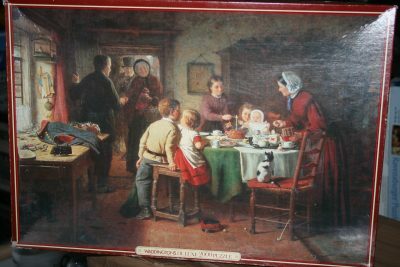 Here has published many puzzles with illustrations by Loup and some of them are in the top list of many jigsaw puzzle collectors. One example is the 1000 pieces version of Olé. Puzzle size: 68 x 96 cm, 26 12/16 x 37 13/16 in. Box size: 42 x 27 x 14 cm.